Diabetic macular oedema (DMO) is a complication of diabetic retinopathy and a leading cause of visual impairment in patients with diabetes. ILUVIEN® (Alimera Sciences Inc., Alpharetta, GA, USA) is an intravitreal implant of fluocinolone acetonide (FAc), which is indicated in Europe for the treatment of vision impairment associated with chronic DMO that is considered insufficiently responsive to available therapies. This article reviews the clinical effectiveness and safety of the FAc implant from real-world studies presented at the Association for Research in Vision and Ophthalmology (ARVO) 2018 Annual Meeting. Review findings: Evidence from real-world studies, with the FAc implant in persistent or recurrent DMO, show consistent outcomes at a similar time point with those reported in the pivotal randomised controlled trials (RCTs). Real-world studies have also shown that the FAc implant led to improvements in visual acuity and central retinal thickness, as well as reductions in treatment burden. Increases in intraocular pressure (IOP) observed in these studies were consistent with those reported at a similar time point in the RCTs and with the effect of other corticosteroid treatments. Expert opinion and conclusions: The results suggest that FAc offers a clinical and cost-effective alternative in the treatment of persistent or recurrent DMO. There are low risks of raised IOP and cataract formation, both of which are amenable to treatment. Anat Loewenstein has been a consultant for Allergan, Alimera Sciences, Novartis, Notal Vision and ForSight Labs. Usha Chakravarthy has received speaker fees from Alimera Sciences, and has been an advisory board member for Allergan. Francisco Bandello has served on advisory boards for Alcon, Alimera, Allergan, Bausch + Lomb, Bayer, Farmila Théa, Genentech, Hoffmann-La Roche, Novartis, Sanofi, Shering, and Thrombogenics; has received consultancy fees, honoraria and travel and accommodation payments from these companies; and has served on data safety monitoring boards for Novagali Pharma. All named authors meet the International Committee of Medical Journal Editors (ICMJE) criteria for authorship of this manuscript, take responsibility for the integrity of the work as a whole, and have given final approval for the version to be published. The development of this manuscript was supported by Alimera Sciences. In Europe, the FAc intravitreal implant is licensed for the treatment of vision impairment associated with chronic DMO insufficiently responsive to available therapies.24 The implant is also available in the US, where it is licensed for the treatment of DMO in patients who have been previously treated with a course of corticosteroids and did not have a clinically significant increase in IOP.25 Hence, the FAc intravitreal implant is licensed for the treatment of DMO that persists or recurs despite treatment. This article reviews the clinical effectiveness and safety of the FAc intravitreal implant from real-world studies presented at the Association for Research in Vision and Ophthalmology (ARVO) 2018 Annual Meeting, as well as summarising its pharmacological and pharmacodynamic properties. Putri and Quhill presented a retrospective review of electronic medical records from 26 patients (26 eyes) and showed that the FAc implant increased best-recorded VA by approximately 8.2 ETDRS letters (from a baseline of 40.1 letters) and decreased CRT by 175.0 μm (from a baseline of 568.0 μm).30 88.5% of patients maintained or gained VA and 35% gained ≥15 letters. The average number of DMO treatments post-FAc decreased: anti-VEGF injections decreased from 7.7–2.9 treatments and macular laser decreasing from 1.1–0.4 treatments. In another 3-year retrospective audit conducted across 14 UK sites and involving 93 eyes from 85 patients, Quhill et al. also assessed VA outcomes.31 They showed the proportion of eyes achieving driving vision nearly doubled at year 3 (from 17% at baseline to 31% at year 3), 72.0% of eyes maintained or gained VA and 26.2% of eyes gained ≥15 letters. Reductions in mean central foveal thickness (CFT) were also reportedly maintained at year 3 with an overall reduction of 136.4 μm from 489.3 μm at baseline. There were also reductions in the average number of DMO treatments (from 5.4 pre-FAc to 4.1 post-FAc). Augustin presented the 3-year results from a German retrospective study (Retro-IDEAL) involving 81 eyes (63 patients) and showed improvements in mean VA at month 6 (+ 4.6 letters) were maintained to year 2 (+ 4.3 letters) before declining slightly at year 3 (+ 2.6 letters).34 This was accompanied by a decrease in central macular thickness (CMT) of 158 μm from a baseline of 502 μm. Elbarky presented the first results from 20 patients treated in the United Arab Emirates.35 Six months after treatment with the FAc implant, mean VA improved by 29 letters from a baseline of 38 letters and mean CMT decreased by 256 μm from 519 μm at baseline. All patients gained ≥15 letters at month 6 and 95% of patients achieved a CMT of <350 μm. Longer-term results, up to 2 years, were presented by Ellingson et al.38 This was a retrospective review of 18 eyes (12 patients) with good baseline VA (65 ETDRS letters pre-FAc implant). The authors reported mean improvements in VA (+3 letters from a baseline) and central subfoveal thickness (-177 μm from a baseline of 473.0 μm). 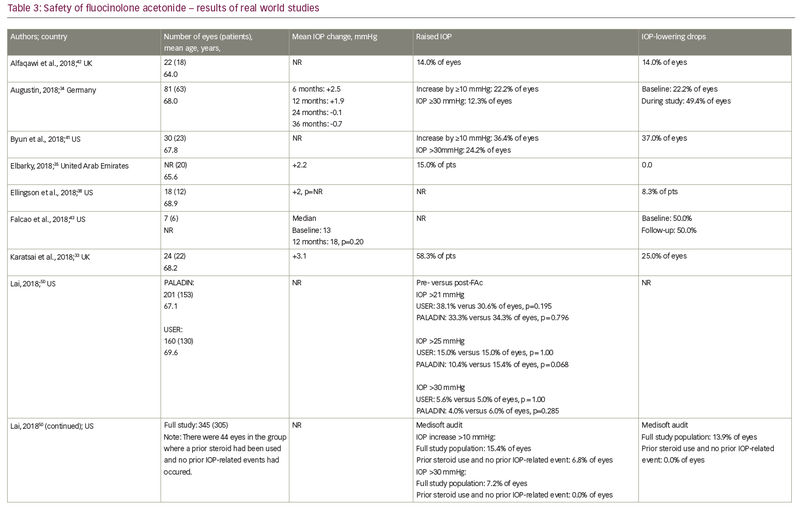 Concerning treatment burden, analyses of two real-world studies (PALADIN and USER) by Gonzalez A39 and Singer40 consistently showed significant reduction in the frequency of DMO treatments post-FAc implant (USER: from one treatment every 2.9 months pre-FAc implant versus 14.3 months post-FAc implant; and PALADIN: one treatment every 3.7 months pre-FAc implant versus 7.9 months post-FAc implant). More than 50% of eyes in both studies did not require additional DMO treatments post-FAc. These findings were complemented by a retrospective chart review by Byun et al. in 30 eyes (23 patients).41 The authors showed the frequency of treatment decreased from one injection every 2.6 months pre-FAc implant to one injection every 8.8 months post-FAc implant. The FAc implant led to a reduction in the mean number of ophthalmology-related office visits, which decreased from 12.3 visits pre-FAc implant to 9.3 post-FAc implant. As with all intravitreal steroids, one of the main safety concerns is raised IOP. Global cumulative data for the FAc implant, obtained from Periodic Safety Update Reports, documents a total of 12,407 patient-eyes had been treated up to August 2017. Based on spontaneous safety reports to authorities, and through searches of literature, non-interventional studies and other sources, the incisional IOP-reducing surgery rate was less than 1% (n=41/12,407; 0.33%).47 Some caution is needed, however, when interpreting these results, as spontaneous reports are voluntary and, therefore, reporting rates are expected to be lower than actual patient events in real-world practice. Indeed, in the European post-authorisation safety study (the ILUVIEN Registry Safety Study; IRISS) conducted in the UK, Germany and Portugal, which included 593 eyes in 563 patients, emergent IOP medication was required in 23.3% of eyes and incisional surgery in 2% of eyes during a mean follow up of 471.2 days.48 This demonstrates that elevations in IOP were effectively managed with IOP-lowering drops in the majority of cases. Although the introduction of anti-VEGF therapy has been highly effective in reducing the visual morbidity associated with DMO, there is a continuing unmet need as suboptimal treatment response remains an important cause of sight impairment due to this condition.1,52,53 Even among those patients who do respond to anti-VEGF therapy, the burden of care is high owing to the need for repeated injections over many years, which in turn, increases the risk of complications such as endophthalmitis.5 A single FAc implant can last for up to 3 years and its sustained action can also help to reduce the burden of visits and treatments; furthermore, it offers an alternative when DMO has been insufficiently responsive to anti-VEGF agents. Consistent with the findings from the pivotal FAME trials and additional randomised controlled trials,28,29,54 the evidence from real-world studies supports the view that the FAc implant offers an effective treatment alternative in patients with persistent or recurrent DMO. Indeed, in the FAME studies the primary endpoint was an improvement in VA of ≥15 letters from baseline. In Table 1 the average duration of follow up was 22 months and 33.0% of patient eyes gained ≥15 letters at this time point. At a similar time point in FAME (at 24 months), 34.4% of patients gained ≥15 letters. Similar comparisons were performed for VA and CFT, and these revealed similar findings – CFT decreased by 146.9 μm and 167.6 μm (real-world and FAME, respectively); and VA improved by 6.8 letters and 6.0 letters (real-world and FAME, respectively). The advantages of a reduced treatment burden with a low risk of increased IOP are important attributes. The consistent reporting of improvements in VA and retinal anatomy by numerous centres at the ARVO 2018 Annual Meeting32,36,38,43,45,46 is testimony to the value of this therapy in the treatment of persistent or recurrent DMO.30,31,34,35,37,42 In addition, emerging evidence shows that patients with DMO, who were insufficiently responsive to intravitreal anti-VEGF drugs, dexamethasone implants and/or focal laser therapy, experienced additional improvements in function after administration of the FAc implant,45 which raises the important question whether current use of the FAc implant in clinical practice (that is, once DMO has been defined as persisting or recurring after treatment) is optimal. Cataract progression and elevated IOP are well-known side effects of corticosteroid therapy and they need to be considered by the treating physician when choosing to use the FAc implant. The physician should also consider the practicality of the sustained-release implant compared with repeated intravitreal injections as it may be helpful in improving the efficiency of very busy DMO clinics.55 The FAc data presented at the ARVO 2018 Annual Meeting demonstrated similar safety and tolerability outcomes; specifically, the percentage of patients requiring medications to control rises in IOP were similar to those reported in the FAME studies at a similar time point and this is important because the implant was designed to last 3 years. The majority of patients (62%) did not require any IOP-lowering medication during the 3-year FAME studies,28,29 and those who did were nearly all managed with IOP-lowering drops. This has now been confirmed in real-world practice. Nonetheless, as there is a risk of an IOP rise, it is important that patients receiving the FAc implant are monitored quarterly, so that IOP is checked regularly. The current report compares the outcomes achieved from a collection of case studies presented at ARVO 2018 and represents data that is still being collected. Some of the cases have a relatively short follow up (up to 6 months) and this limits the comparisons made with outcomes in the FAME studies. Also, the number of centres with patients reaching a 3-year follow up is starting to increase and this will allow meaningful indirect comparisons as these data sets start to mature. A further limitation that influences the interpretation of findings is the difference in treatment indication in the US and Europe. In Europe, the FAc implant is generally used after a prior course of anti-VEGFs, whereas in the US its use follows a prior short-acting corticosteroid. This difference would explain some of the better baseline VA and CFT values, which will influence the magnitude of reported outcomes. These differences are also quite different from the FAME studies where laser was the last DMO therapy prior to treatment with the FAc implant. 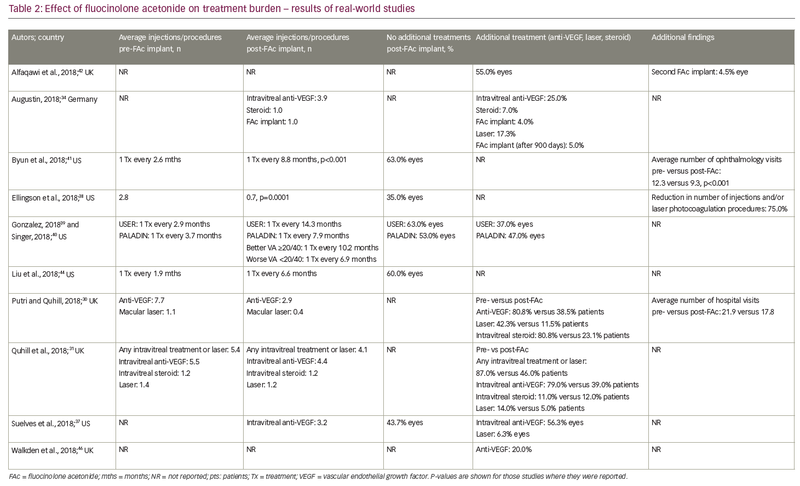 Lastly, the patients being treated in real-world practices are quite different to those in the FAME randomised controlled trials and this is reflected by the prior DMO therapies used and also the patient demographics (i.e., a higher mean age, a wider range of starting VA values and the high proportion of patients with a pseudophakic lens at baseline). The growing body of data strongly supports the effectiveness and safety of the FAc implant as a long-term treatment option for persistent and recurrent DMO. With ongoing collection of larger sets of real-world data, evidence of the benefits and risks of the FAc implant continues to accrue and should further demonstrate its role in the long-term management strategy of DMO. Tomic´ M, Vrabec R, Poljicanin T, et al. Diabetic macular edema: traditional and novel treatment. Acta Clin Croat. 2017;56:124–32. Cunha-Vaz J. Diabetic macular edema. Eur J Ophthalmol. 1998;8:127–30. Urias EA, Urias GA, Monickaraj F, et al. Novel therapeutic targets in diabetic macular edema: beyond VEGF. Vision Res. 2017;139:221–7. Zhang X, Wang N, Barile GR, et al. Diabetic retinopathy: neuron protection as a therapeutic target. Int J Biochem Cell Biol. 2013;45:1525–9. Klaassen I, Van Noorden CJ, Schlingemann RO. Molecular basis of the inner blood-retinal barrier and its breakdown in diabetic macular edema and other pathological conditions. Prog Retin Eye Res. 2013;34:19–48. Bandello F, Iacono P, Battaglia Parodi M. Treatment options for diffuse diabetic macular edema. Eur J Ophthalmol. 2011;21(Suppl 6):S45–50. Romero-Aroca P. Targeting the pathophysiology of diabetic macular edema. Diabetes Care. 2010;33:2484–5. Wenick AS, Bressler NM. Diabetic macular edema: current and emerging therapies. Middle East Afr J Ophthalmol. 2012;19:4–12. Lee R, Wong TY, Sabanayagam C. Epidemiology of diabetic retinopathy, diabetic macular edema and related vision loss. Eye Vis (Lond). 2015;2:17. Ehrlich R, Harris A, Ciulla TA, et al. Diabetic macular oedema: physical, physiological and molecular factors contribute to this pathological process. Acta Ophthalmol. 2010;88:279–91. Seethala A, Ness S, Subramanian M. Current treatments in diabetic macular edema. J Endocrinol Diab. 2015;2:6. Amoaku WM, Saker S, Stewart EA. 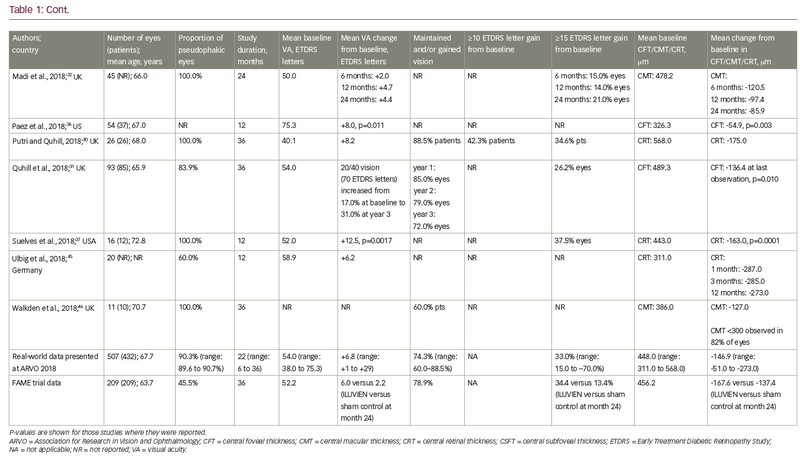 A review of therapies for diabetic macular oedema and rationale for combination therapy. Eye (Lond). 2015;29:1115–30. Electronic Medicines Compendium. Allergan Ltd. Ozurdex 700 micrograms intravitreal implant in applicator. Summary of Product Characteristics, 2017. Available at www.medicines.org.uk/emc/product/5654/smpc (accessed 31 October 2018). Lim JI. Unmet needs in diabetic macular edema. US Ophthalmic Review. 2011;4:101–4. Fusi-Rubiano W, Mukherjee C, Lane M, et al. 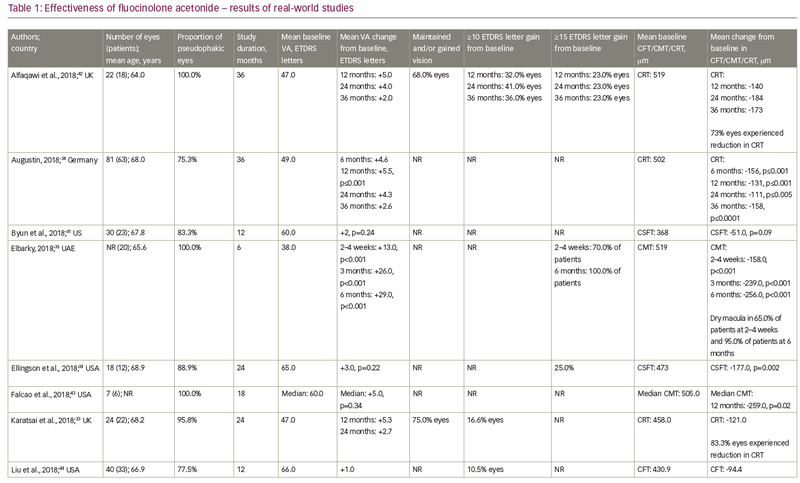 Treating diabetic macular oedema (DMO): real world UK clinical outcomes for the 0.19mg Fluocinolone Acetonide intravitreal implant (Iluvien™) at 2 years. BMC Ophthalmol. 2018;18:62. Massin P, Bandello F, Garweg JG, et al. Safety and efficacy of ranibizumab in diabetic macular edema (RESOLVE Study): a 12-month, randomized, controlled, double-masked, multicenter phase II study. Diabetes Care. 2010;33:2399–405. Mathew C, Yunirakasiwi A, Sanjay S. Updates in the management of diabetic macular edema. J Diabetes Res. 2015;2015:794036. Ford JA, Lois N, Royle P. et al. Current treatments in diabetic macular oedema: systematic review and meta-analysis. BMJ Open. 2013;3:e002269. Moisseiev E, Moisseiev J, Loewenstein A. Surgical treatment for diabetic macular edema. Expert Review of Ophthalmology. 2016;11:173–9. Ulrich JN. Pars plana vitrectomy with internal limiting membrane peeling for nontractional diabetic macular edema. Open Ophthalmol J. 2017;11:5–10. Joussen AM, Poulaki V, Le ML, et al. A central role for inflammation in the pathogenesis of diabetic retinopathy. FASEB J. 2004;18:1450–2. Ranchod TM, Fine SL. Primary treatment of diabetic macular edema. Clin Interv Aging. 2009;4:101–7. Campochiaro PA, Nguyen QD, Hafiz G, et al. Aqueous levels of fluocinolone acetonide after administration of fluocinolone acetonide inserts or fluocinolone acetonide implants. Ophthalmology. 2013;120:583–7. Cabrera M, Yeh S, Albini TA. Sustained-release corticosteroid options. Journal of Ophthalmology. 2014;2014:164692. Saedon H, Anand A, Yang YC. Clinical utility of intravitreal fluocinolone acetonide (Iluvien®) implant in the management of patients with chronic diabetic macular edema: a review of the current literature. Clin Ophthalmol. 2017;11:583–90. Campochiaro PA, Brown DM, Pearson A, et al. Sustained delivery fluocinolone acetonide vitreous inserts provide benefit for at least 3 years in patients with diabetic macular edema. Ophthalmology. 2012;119:2125–32. Campochiaro PA, Brown DM, Pearson A, et al. Long-term benefit of sustained-delivery fluocinolone acetonide vitreous inserts for diabetic macular edema. Ophthalmology. 2011;118:626–35.e2. Quhill F, Bailey C, Chakravarthy U, et al. United Kingdom multicenter Medisoft™ electronic medical record real-world audit following implant of ILUVIEN®(fluocinolone acetonide 190 μg) – the first 3-year results from the UK. Invest Ophthalmol Vis Sci. 2018;59:1906. Madi HA, Chen Y, Steel D, et al. Real world data on the efficacy of Fluocinolone Acetonide (ILUVIEN) in eyes with diabetic macular oedema. Invest Ophthalmol Vis Sci. 2018;59:4817. Karatsai E, Taylor S, Atkins K. Real-life outcomes from the use of ILUVIEN in the treatment of refractory DMO. Invest Ophthalmol Vis Sci. 2018;59:4815. Augustin A. Retro-IDEAL study – results from real-world practice show that after substantial amounts of prior treatment with anti-VEGF and other therapies a single ILUVIEN (fluocinolone acetonide; FAc) implant leads to sustained improvements lasting up to 36 months. Invest Ophthalmol Vis Sci. 2018;59:4856. Elbarky A. Rapid structural and functional improvements following 0.19 mg fluocinolone acetonide (FAc) implant in diabetic macular edema patients with poor visual acuity: 6-month audit results from the United Arab Emirates. Invest Ophthalmol Vis Sci. 2018;59:1905. Paez M, Deupree EW, Tolentino MT, Deupree DM. Best corrected visual acuity (BCVA) and central macular thickness (CMT) outcomes after fluocinolone acetonide intravitreal implant (FAc) injection in multitreated chronic diabetic macular edema (DME) patients. Efficacy in a real life setting in the United States. Invest Ophthalmol Vis Sci. 2018;59:398. Suelves AM, Buzzacco D, Chorich L, Patel S. Fluocinolone acetonide for persisting diabetic macular edema in routine clinical practice in the US. Long-term follow up. Invest Ophthalmol Vis Sci. 2018;59:4819. Ellingson C, Kitchens JW, Stone TW. Reduction in treatment burden and edema in patients with diabetic macula edema following 0.2mg/day fluocinolone acetonide implant. Invest Ophthalmol Vis Sci. 2018;59:4813. Gonzalez VH. Optimization of diabetic macular edema (DME) therapy following 0.2 μg/day fluocinolone acetonide (FAc) implant administration. Invest Ophthalmol Vis Sci. 2018;59:4848. Singer M. Treatment burden associated with intravitreal injections in the real world: PALADIN Phase 4 trial with fluocinolone acetonide 0.2 μg/day. Invest Ophthalmol Vis Sci. 2018;59:4811. Byun M, Riemann CD, Osher J, Patel Y. Fluocinolone acetonide (0.19 mcg/day) intravitreal implant and improved treatment burden for patients with diabetic macular edema (DME). Invest Ophthalmol Vis Sci. 2018;59:8420. Alfaqawi F, Sarmad A, Lip P-L, et al. Three-year outcome of fluocinolone acetonide intravitreal implant (ILUVIEN) in the treatment of chronic diabetic macular oedema: real-world results in the UK. Invest Ophthalmol Vis Sci. 2018;59:4810. Falcao M, Silva MI, Madeira TC, et al. Retinal nerve fiber layer thickness changes after intravitreal fluocinolone acetonide implant for chronic diabetic macular edema. Invest Ophthalmol Vis Sci. 2018;59:1912. 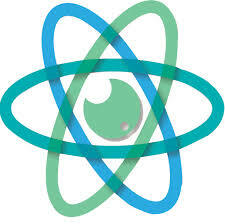 Liu J, Coney J, Schartman J, et al. Fluocinolone acetonide (FAc) 0.2 mg intravitreal implant in the treatment of diabetic macular edema (DME). Invest Ophthalmol Vis Sci. 2018;59:4816. Ulbig M, Wehrmann K, Maier M. Second-line treatment with Iluvien for persistent pre-treated diabetic macular edema. Invest Ophthalmol Vis Sci. 2018;59:1898. Walkden A, Young J, Stone S, Mahmood S. Clinical effectiveness of the fluocinolone acetonide (FAc) implant in patients with diabetic macular oedema (DMO) – the Manchester experience. Invest Ophthalmol Vis Sci. 2018;59:4812. ILUVIEN Periodic Safety Update Report: August 26, 2017. Chakravarthy U, Taylor S, Bailey C, et al. LUVIEN® (190 micrograms fluocinolone acetonide) real-life safety and effectiveness following usage in three European countries – results from the 2016 extract of data from the ILUVIEN Registry Safety Study (IRISS). 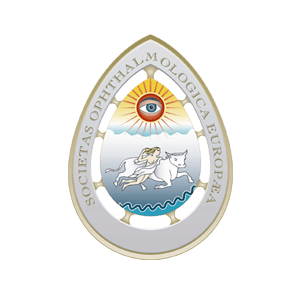 Presented at: 17th European Society of Retina Specialists Congress, Barcelona, Spain, 7–10 September 2017. Bailey C, Chakravarthy U, Lotery A, et al. Real-world experience with 0.2 μg/day fluocinolone acetonide intravitreal implant (ILUVIEN) in the United Kingdom. Eye (Lond). 2017;31:1707–15. Lai JC. Prior steroid response as a predictor of real-world IOP safety with 0.2 µg/day fluocinolone acetonide (FAc) in diabetic macular edema (DME) therapy. Invest Ophthalmol Vis Sci. 2018;59:4828. National Institute for Health and Care Excellence. Fluocinolone acetonide intravitreal implant for treating chronic diabetic macular oedema after an inadequate response to prior therapy: Technology appraisal guidance [TA301], 2013. Available at: www.nice.org.uk/guidance/ta301 (accessed 15 June 2018). Dervenis N, Mikropoulou AM, Tranos P, Dervenis P. Ranibizumab in the treatment of diabetic macular edema: a review of the current status, unmet needs, and emerging challenges. Advanced Therapeutics. 2017;34:1270–82. Blinder KJ, Dugel PU, Chen S, et al. Anti-VEGF treatment of diabetic macular edema in clinical practice: effectiveness and patterns of use (ECHO Study Report 1). Clin Ophthalmol. 2017;11: 393–401. Pearson PA, Comstock TL, Ip M, et al. Fluocinolone acetonide intravitreal implant for diabetic macular edema: a 3-year multicenter, randomized, controlled clinical trial. Ophthalmology. 2011;118:1580–7. Schwartz SG, Flynn HW Jr, Scott IU. Emerging drugs for diabetic macular edema. Expert Opin Emerg Drugs. 2014;19:397–405. Holden SE, Currie CJ, Owens DR. Health-economic evaluation of fluocinolone acetonide 190 μg implant in people with diabetic macular edema. Curr Med Res Opin. 2017;33:45–52. Cutino A, Green K, Kendall R, et al. Economic evaluation of a fluocinolone acetonide intravitreal implant for patients with DME based on the FAME study. Am J Manag Care. 2015;21(4 suppl):S63–72. Quhill F, Beiderbeck A. Cost advantage of fluocinolone acetonide implant (ILUVIEN®) versus ranibizumab in the treatment of chronic diabetic macular oedema. Global and Regional Health Technology Assessment. 2017;4:e155–64. Raman V. A cost analysis comparing continued three-year aflibercept monotherapy versus a switch from aflibercept to the fluocinolone acetonide intravitreal implant in phakic patients with chronic diabetic macular edema. Expert Review of Ophthalmology. 2018;13:299–307.